Is it Time for a Vacation? When it comes to being in a relationship, after time, life with your spouse can become tedious and you may feel stuck in a routine. The daily asking about your partners work, making dinner, and going to bed day after day with little alteration can genuinely cause strain on a relationship. Often when you’re just beginning your journey together, there are so many changes going on – whether you are just moving in with your partner or beginning new careers, planning your wedding or starting a family. After you’ve been married for years though, the changes and excitement can sometimes settle down to an alarming halt, resulting in boredom. How can you change for the better? In cases like the above mentioned, often times a change is in order, and that change could simply be a getaway for the two of you. 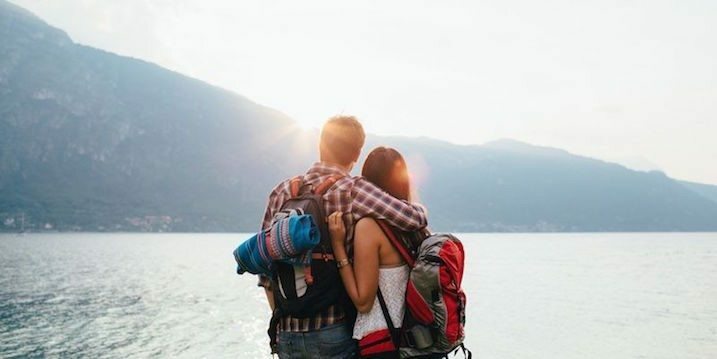 Researchers have found that couples who live by the five to one ratio, five positives for every one negative, are able to navigate their relationship towards a happy, healthy existence. When on vacation, relaxed and out of the confines of stressful day-to-day life, it becomes a little easier to find the needed positives. Getting away from home is also the perfect way to step back and look at your life together. There are no distractions, such as things you know you just need to get done around the house immediately – you have the perfect opportunity to focus on your spouse and simply being together. Also, having the space to step back while you aren’t in the thick of things can provide room for big insights. If you know you’re headed back to the office in a number of hours, that may be what’s clouding your mind and lead to less valuable communication. However, if you’re in the right, relaxed environment, you’re more likely to openly speak about what you love about your partner and what needs to be eliminated in your routine. It’s important to keep the positivity present when you get back home after your blissful week together. If you took plenty of pictures while away, frame them and remember the spontaneous, stress-free times you had together at your vacation destination. Discuss all that you did during your trip, and how you can integrate some of those activities and discussions into the everyday. Remember how amazing time together can truly be can make the difference in your relationship. Susan Block knows your marriage has the potential to heal and return to the strong bond it once was. Her goal is to work with you and your spouse towards healthy communication and marital happiness. Call marriage and family therapist Susan Block at 954-675-1936 today to take positive strides in your relationship.